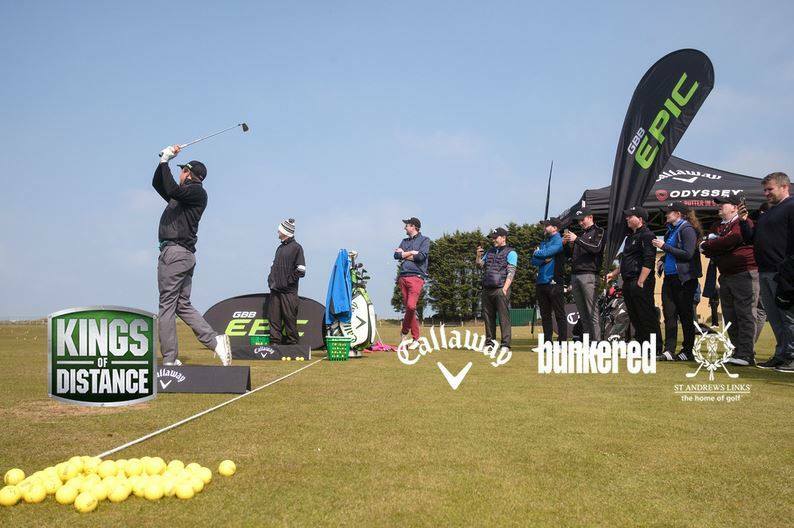 We recently hosted Callaway’s Kings of Distance event; the first time it has been held at the Home of Golf. 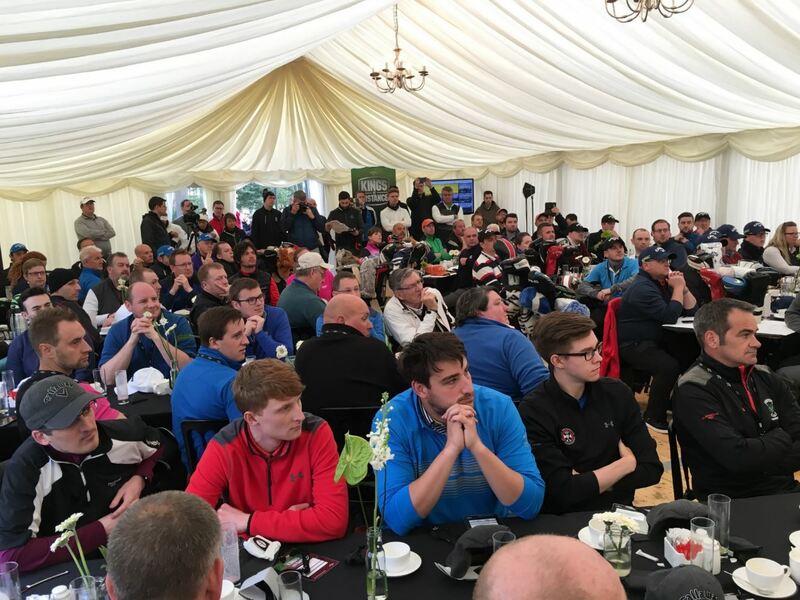 96 lucky golfers were given the chance to gain extra distance off the tee, receive tuition from tour professionals and world renowned coaches as well as watch both the men and women’s world long drive champions put on an exhibition of their incredible talent. All this activity would make for a hungry golfer… step in the Food and Beverage Department. 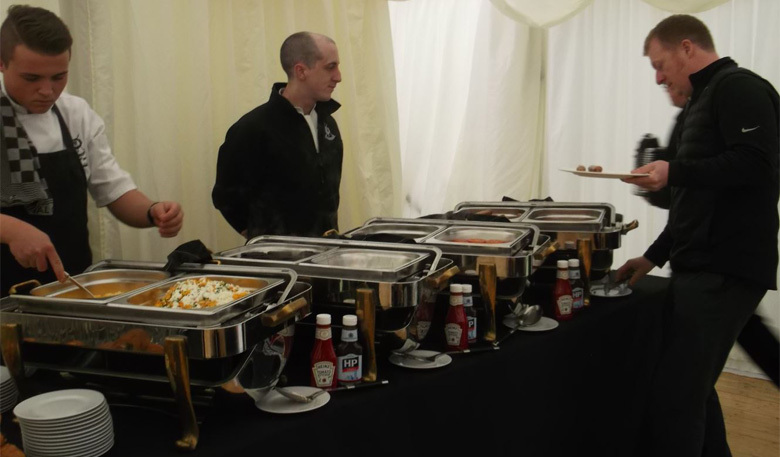 We were tasked with keeping the golfers and Callaway support staff fed and watered from 6am for breakfast through to a buffet lunch and afternoon tea on the day. 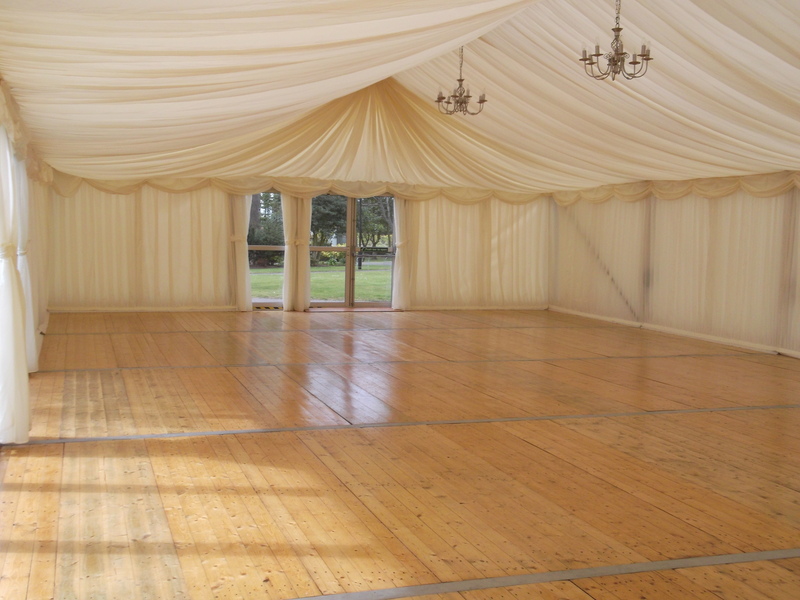 After two months worth of planning for this, on-site preparations started on the Friday prior to the event with the arrival of the marquee at the Eden Clubhouse. 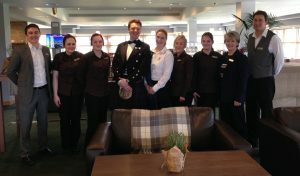 The following Monday, the front of house staff started to set up inside early doors ready for the morning rush the next day. 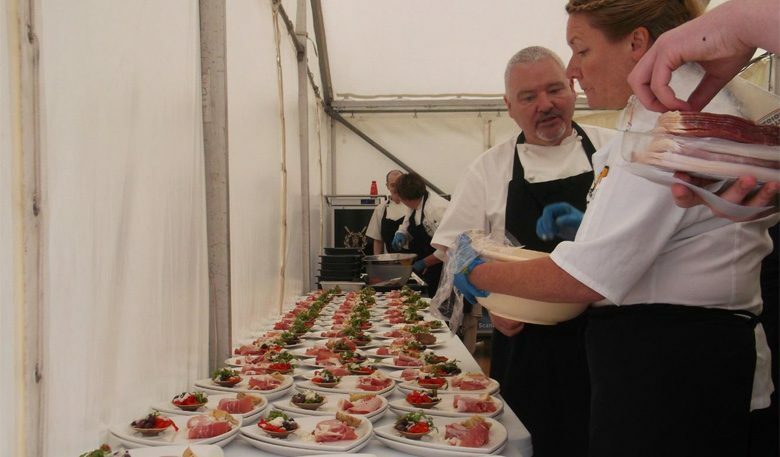 The kitchen team, led by Sharon Munro and Helen Nicoll, began preparing the food for all three services. 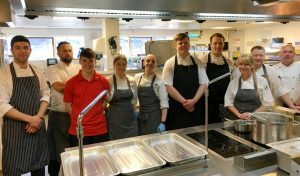 We served a hearty buffet breakfast and a gourmet lunch selection that included Scottish salmon, confit duck and lamb casserole. 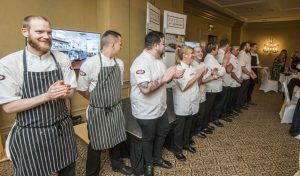 On Tuesday morning the kitchen team were on site at 5am to begin cooking the breakfast as well as be on hand to serve to all the competitors and support staff above – it was a full house! 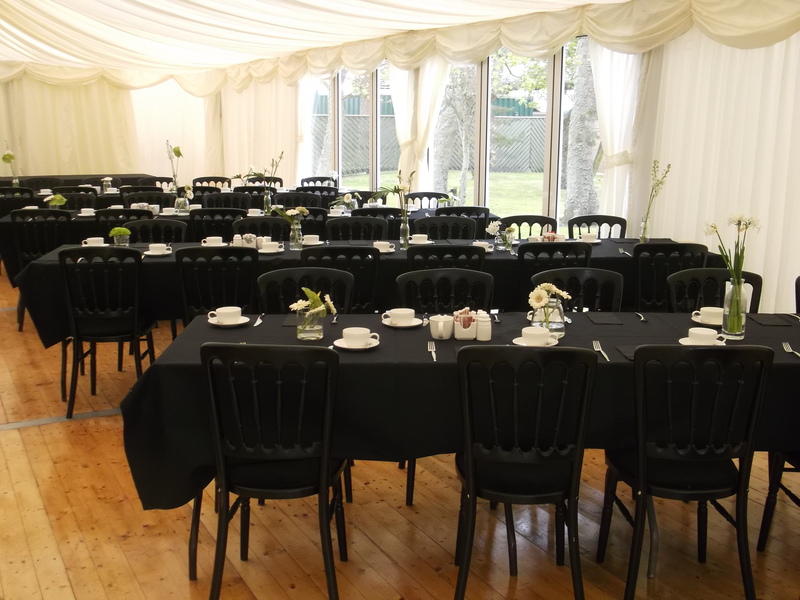 After breakfast was finished and the golfers left to start their day, the front of house staff cleaned down the tables and reset for lunch while the chefs got cracking with preparing the food. With such a large crowd to cater for, good planning and preparation was key. It’s been a little over a month now since the big day and all the feedback we’ve received has been hugely positive which is great. Across all 96 golfers, the total gain in distance was 1,445 yards – we like to think being well fed helped this great achievement!